OAK BROOK, IL: McDonald's has brought on Olson Engage to handle some global campaign work that includes PR, social media, and experiential elements. The fast-food giant confirmed it worked with Olson on a project in the Netherlands featuring mascot Ronald McDonald. Additional efforts supported by Olson will launch in 2014. 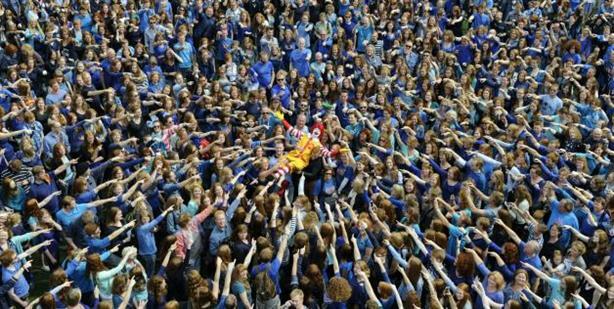 McDonald's sponsored an event last September in Breda, Netherlands to set a Guinness World Record for the largest gathering of redheads at the annual Redhead Festival. The red-haired Ronald McDonald served as ambassador of the festival. Olson deferred comment on the initiatives to McDonald's. McDonald's did not disclose further information about the projects. GolinHarris, which has worked with McDonald's since 1957, supports consumer and corporate work for the brand in the US. Golin is also the company's global partner for the Olympics and the World Cup, and the firm's regional offices support the Greater Bay Area McDonald's Cooperative in San Francisco and the BWR Co-Op in Baltimore. McDonald's hired Jo Kwiatkowska in June to serve in the newly created role of senior manager of corporate communications on the brand's European corporate relations team. Last month, home loan company Guaranteed Rate selected Olson as its first AOR to handle PR and advertising, following a review involving 19 agencies. Olson recently rebranded its PR and social media unit as Olson Engage to highlight the firm's integrated work.